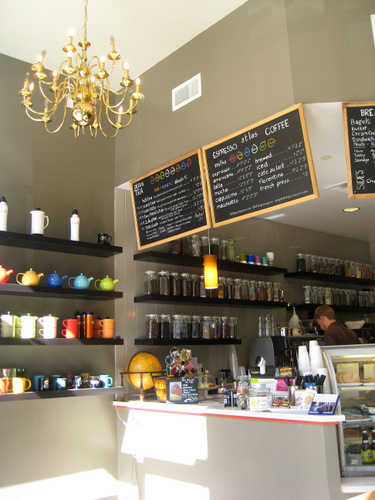 When it comes to coffee shops, Boulder’s got a plethora of them. Really, how do you decide which one to go to? 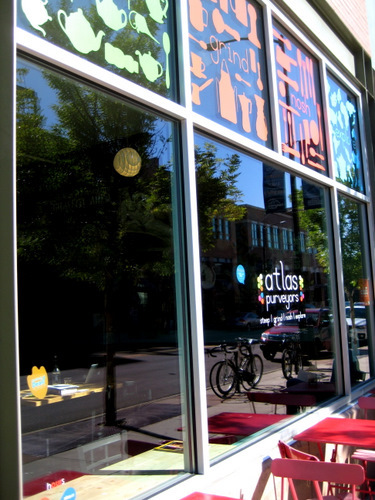 Well, just look at the window of Atlas Purveyors. You can’t help but want to go inside. Plus, it’s called Atlas Purveyors! This place is modern and clean. But it’s still warm and without pretense. On a random weekday, this place was absolutely packed. Really, every seat was taken with laptopped coffee lovers. You can get your drinks with regular milk, soy, rice, or almond milk. And you know what’s crazy good? A latte with steamed almond milk. This is going to be my standard from now on, whenever possible. 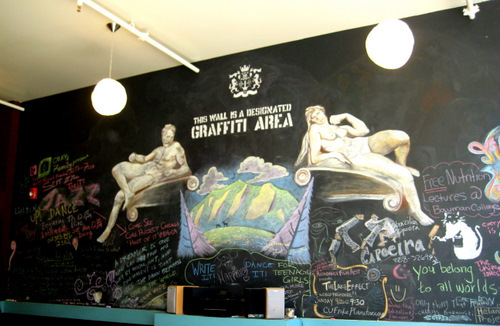 They also have a big wall that is a designated graffiti area. So stop in and get to scribblin! Oh, and the drinks are priced very reasonably. It surprised me!